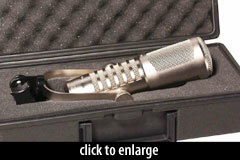 The DM20 is a dynamic microphone intended for broadcast and vocal recording applications. It is modeled to some degree after the Electro-Voice RE20, but has a significantly different response plot, with hugely scooped mids. Unlike the original RE20, the DM20 has no output transformer. The DM20 is similar the EV RE-20, but it has a redesigned, higher-impedance voice coil that does not require an output transformer. The weakest link in dynamics is usually the small transformer they use, which can get saturated in high-SPL situations. The mic’s frequency response graph shows significant peaks; there is a +6dB peak at 150Hz, and a +13dB peak at 6-7kHz. Although at a glance this response profile appears similar to many tailored kick-drum mics, the peaks accentuate different frequency bands. 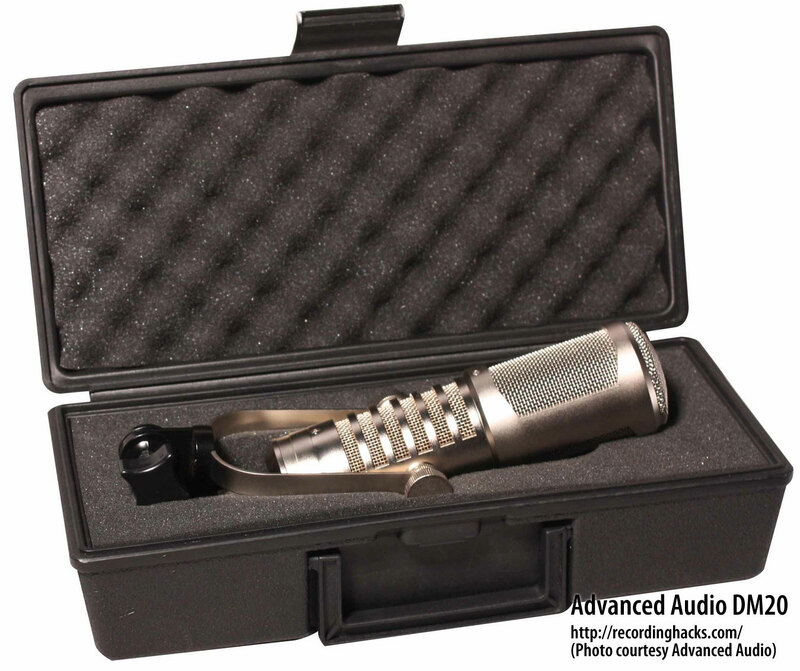 Most kick-drum mics have a LF peak between 50–100Hz, and a HF peak around 2–4kHz. The DM20 peaks occur at higher frequencies in both cases. The preliminary specifications below are subject to change.